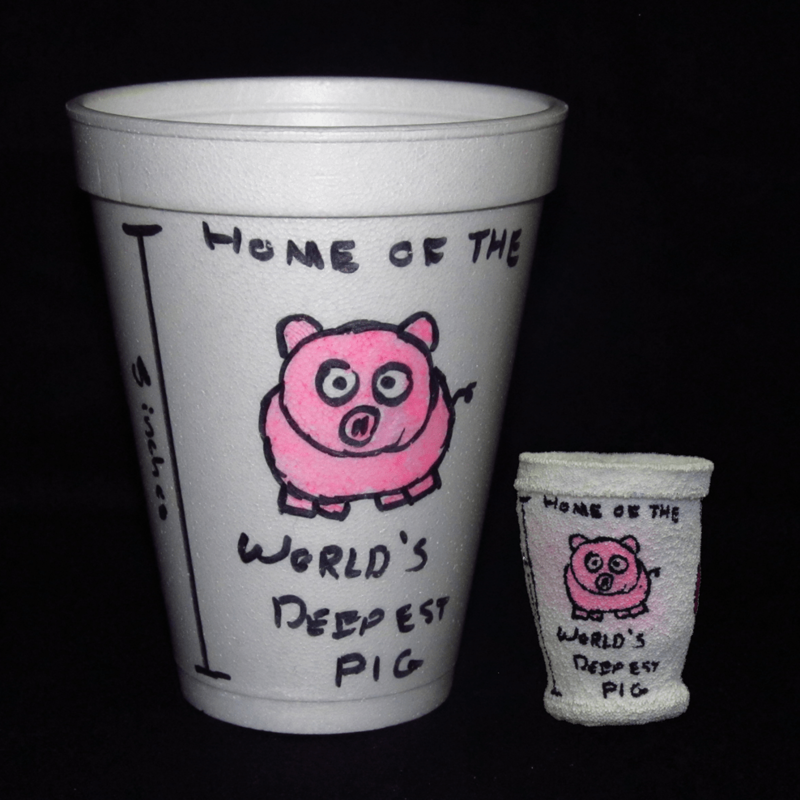 That’ll do, pig, that’ll do. It’s true! 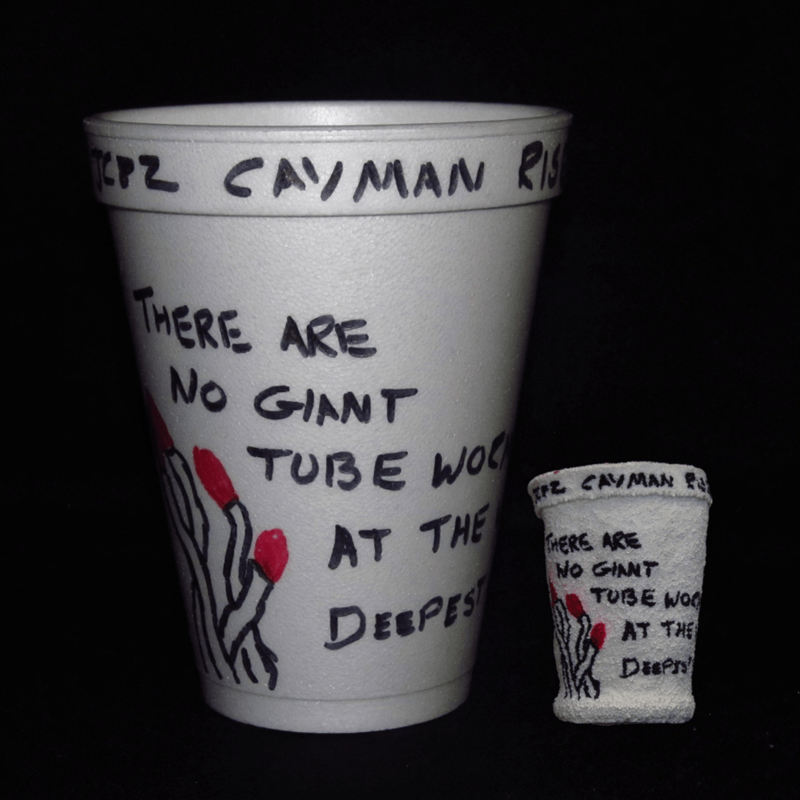 There are no giant tube worms (Riftia pachyptila) at the Mid-Cayman Spreading Center (but there are smaller tube worms). We visited some truly majestic hydrothermal vents. What’s all this about, anyway? 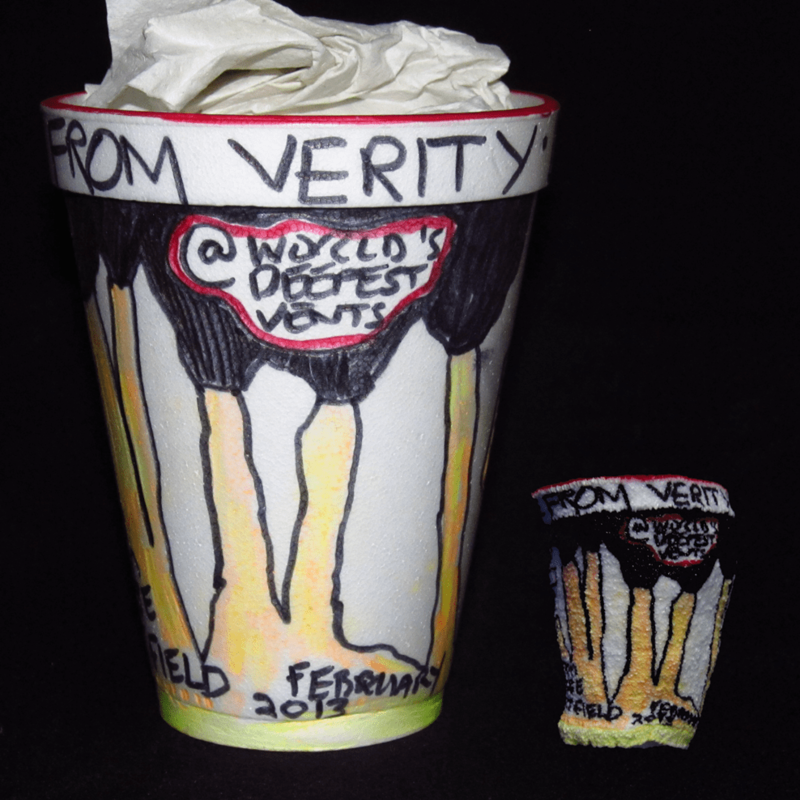 There’s some seriously cool geology down at the world’s deepest known hydrothermal vents. 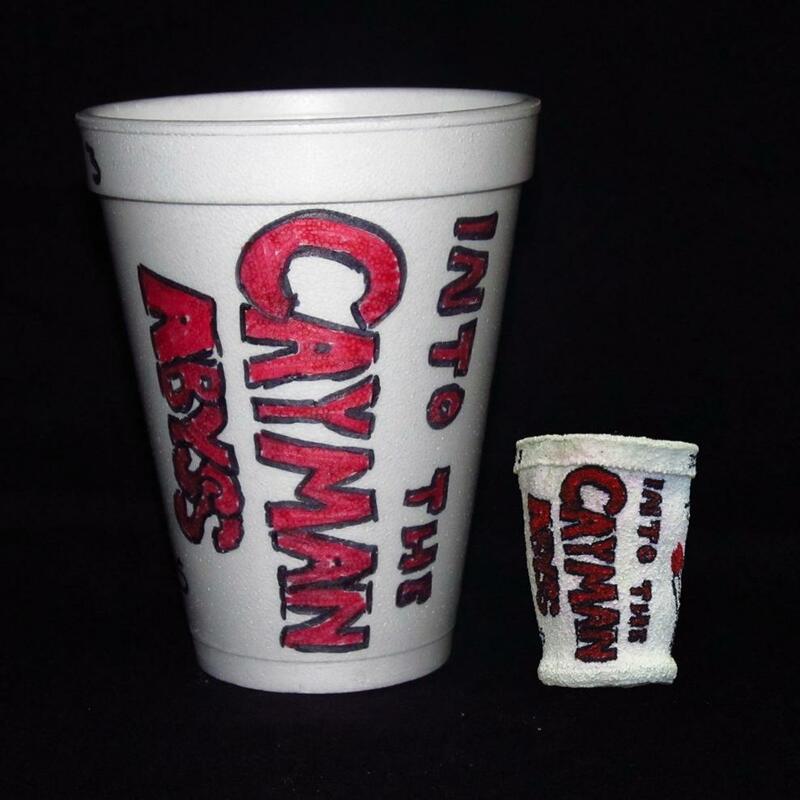 We’re going into the Cayman Abyss! We actually watched an Oceanic White-tip take several lunges at the ROV Isis on her way down. Sadly, she was only visible on the umbilical camera (a low-res upward facing camera we use to watch the status of the ROV’s tether), which we don’t record. Where did that shark come from? The anemones around Beebe weren’t quite this colorful, but they were still fantastic. A colorful anemone from the Beebe Vent Field. 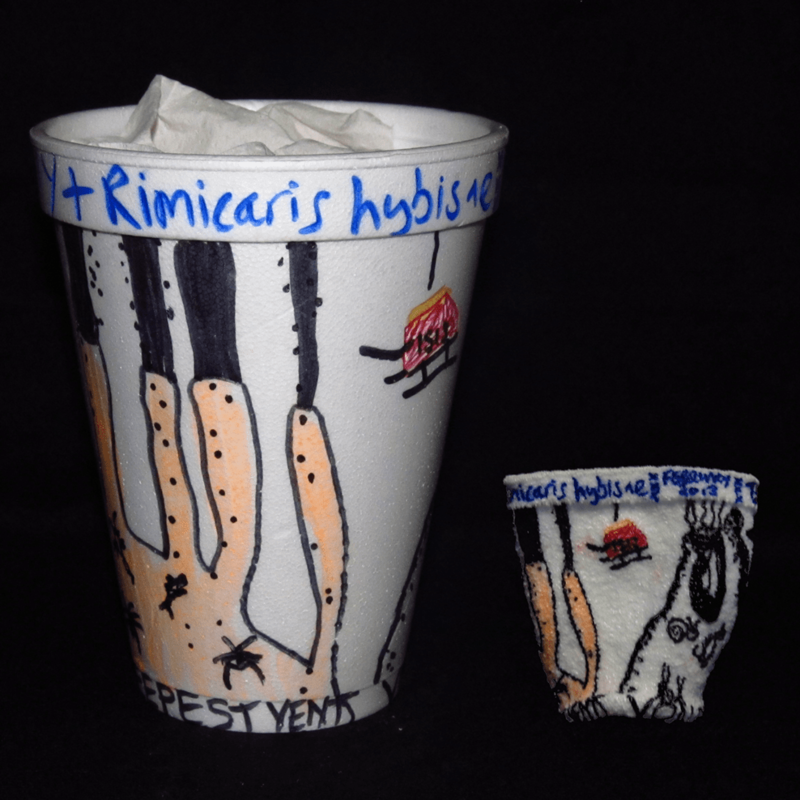 One very accurate depiction of Rimicaris hybisae. 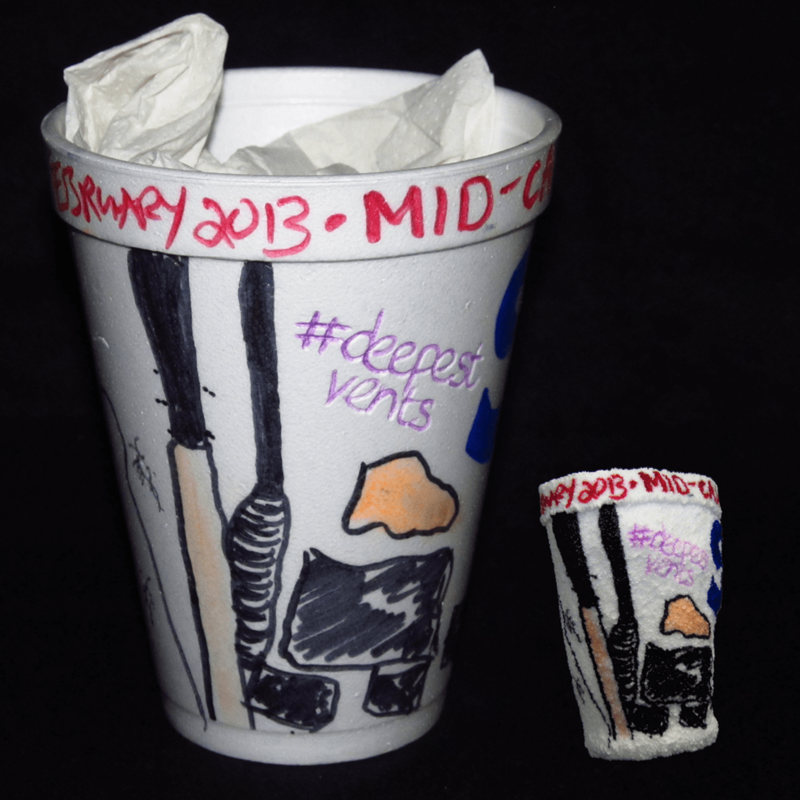 One of the great traditions among deep-sea scientists is the shrinking of polystyrene cups by sending them down to our research sites. 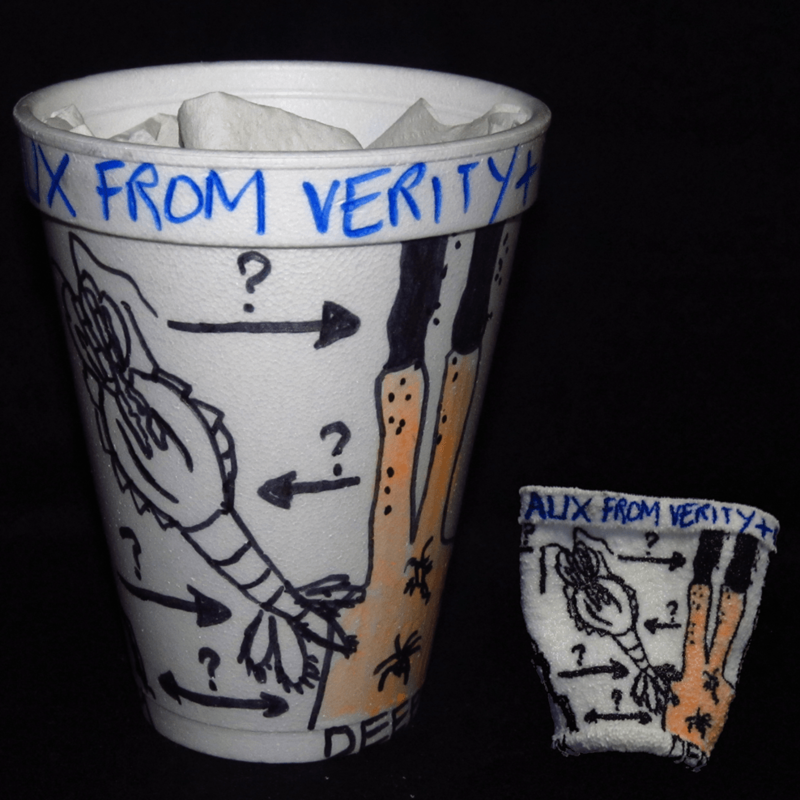 Polystyrene (or Styrofoam) is mostly empty space. When sent to the bottom of the sea, the massive pressure (an additional atmosphere for every 10 meters depths) squeezes the air out of these empty spaces reducing the cups–or, in some more dramatic examples, mannequin heads and prop skulls a la Hamlet–to a fraction of their former size. With a little bit of creative doodling during down time, we end up with a nice illustration of this physical phenomenon that is undoubtedly an insufficient gift for our loved ones, of whom we’ve abandoned to spend 30+ days mucking about on a boat*. 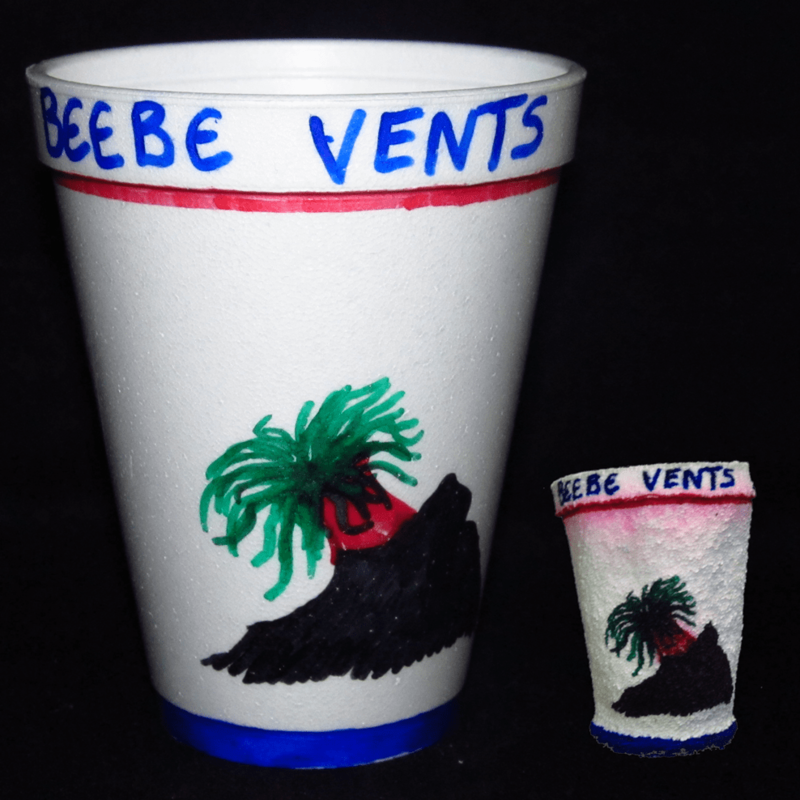 Fortunately, on my last expedition, I had the wherewithal to get before and after photographs of each cup the went over the side. 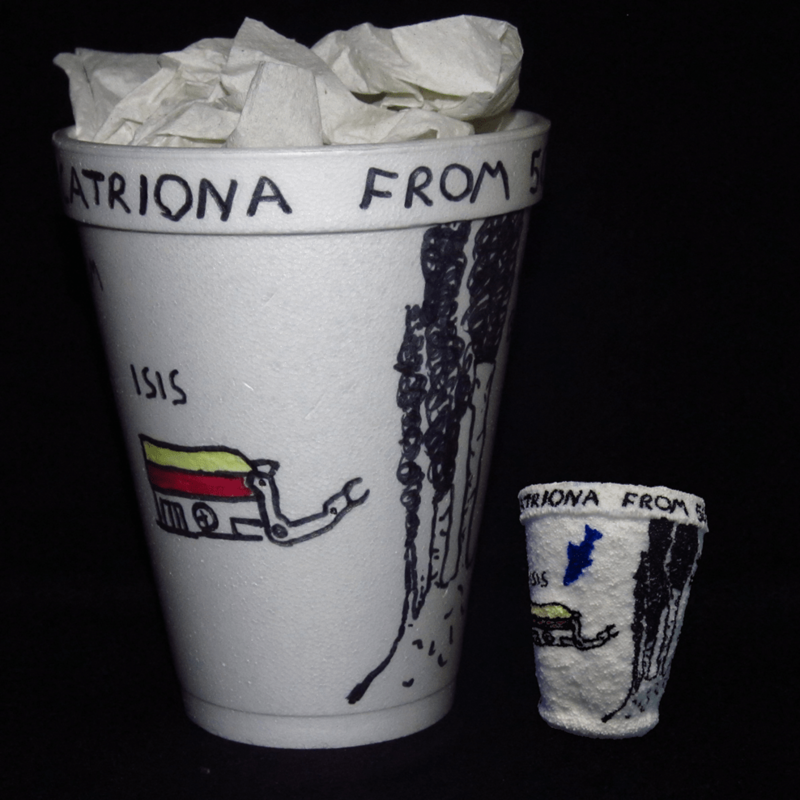 So, for your enjoyment, for the next few weeks I’ll be posting some of my favorite shrunken cups. Enjoy! 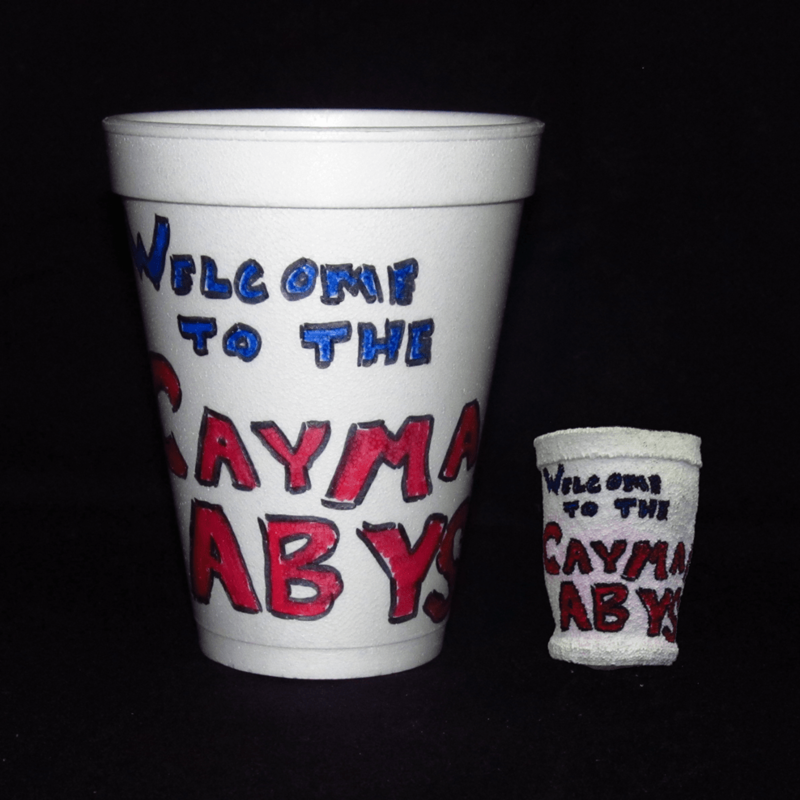 Welcome to the Cayman Abyss! *Though, it could be worse. Rumor has it one group of researchers was so confident in their ability to deploy and recover remote deep-sea landers, that they all affixed their wedding rings to the deepest rig before sending it over. Fortunately, it returned, rings unscathed.